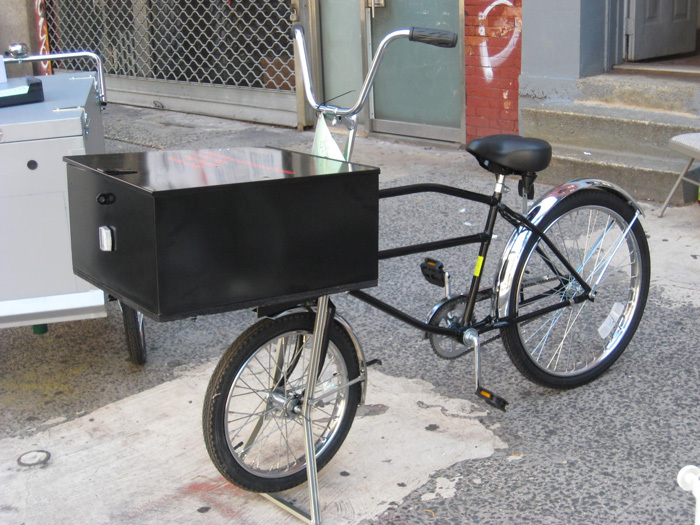 This Classic Delivery Bike has been seen from the streets of New York to the Movie Studios in Los Angeles for more than 50 years. 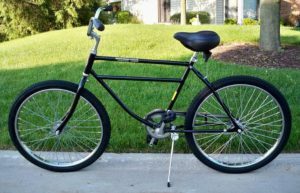 Many people refer to them as “Truck Bikes”. 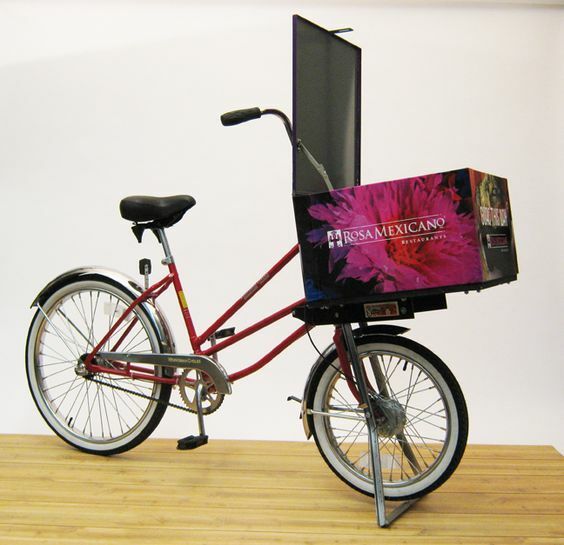 In fact, the Worksman Low Gravity Delivery Bike has even been featured in some big time movies with stars including Cher, Adam Sandler and Goldie Hawn riding them. 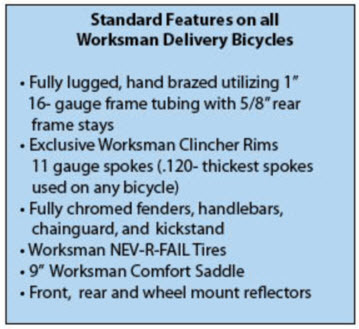 Worksman Low Gravity Bikes have a unique “Balance Tru” Steering System whereby the handlebars turn but the huge newly designed standard “fixed to frame” 24″ x 17″ x 12″ perforated steel cargo basket does not. This allows bulkier loads to be transported. 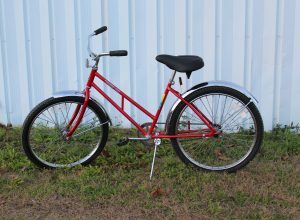 Our Low Gravity Bikes have the unique built-in parking stand, 20″ x 2.125″ front wheel, 26″ x 2.125″ rear wheel. Doesn’t get more American Classic than this! 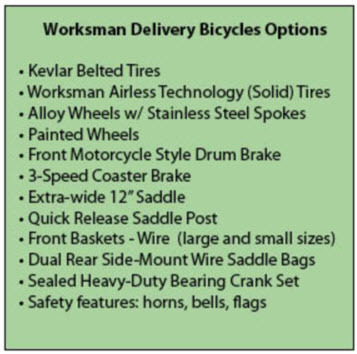 To purchase your Worksman Low Gravity Bike with custom options and features CLICK HERE.